In a conference with some of the biggest stadiums in college football, Ryan Field is different, as it is one of the smallest stadiums in college football. 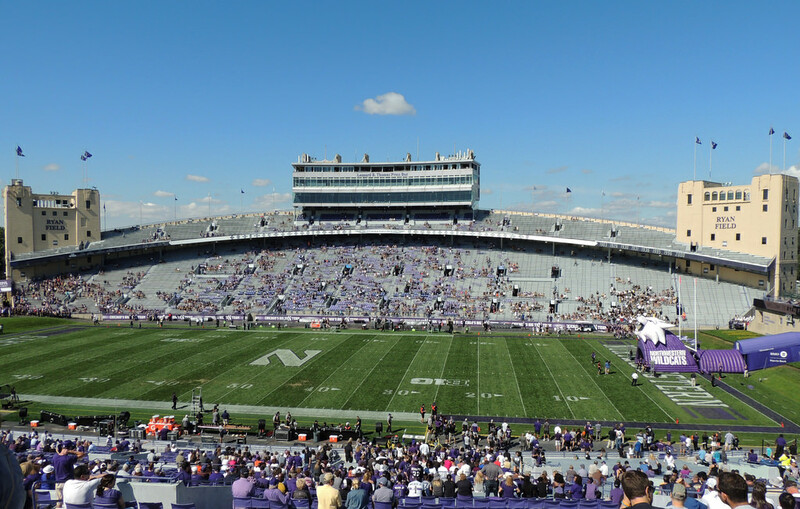 Before moving into Ryan Field, the Northwestern Wildcats played many of their games at Soldier Field in Chicago. In the mid 1920s, William A. Dyche, Vice President of the University, led an effort to build a new stadium for the Wildcats. His effort was successful and a new stadium was constructed in 1926 at a cost of $1.425 million. Originally known as Northwestern Stadium, the Wildcats christened the stadium on October 2, 1926 against South Dakota. Later that season, Northwestern Stadium was renamed Dyche Stadium. Only two additions have been completed at the stadium since its opening. In 1949, the stadium was enclosed in the south endzone giving the stadium its horseshoe look. Prior to the start of the 1961 season a press box and second deck was added. Tartan Turf replaced the natural grass playing field in 1973. It was replaced with grass in 1997. Dyche Stadium was renamed Ryan Field in 1997 when the press box was renovated and expanded to include the stadium club. A new endzone facility was also completed to house locker and equipment rooms on the north endzone. Today, Ryan Field has a capacity of 49,256. One unique feature of Ryan Field is the large bronze wildcat mounted behind the south end zone.